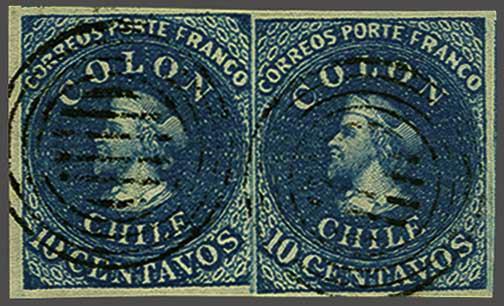 London Printing 1853 (July 1): 10 c. deep bright blue on yellowish paper, wmk. pos. 1, a superb used horizontal pair with large margins all round and showing the two stamps squeezed together (left hand stamp's watermark narrower - 10 mm. - right hand stamp 11 mm.) neatly cancelled by six barred target handstamps in black. A delightful and unusual multiple. Cert. BPA (1992) Gi. 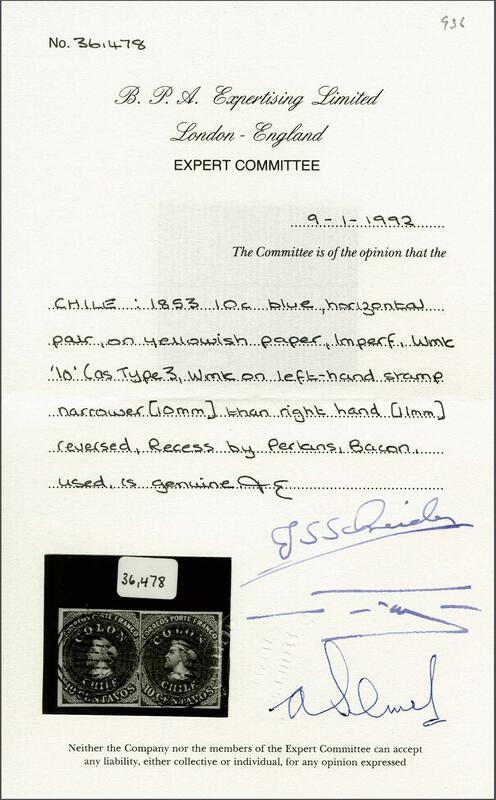 2 = £ 200+/Scott = $ 300+.rnProvenance: Collection Gerhard Blank, RL, Dec 1991, lot 936.